Daniel M. Churgin, Esq. is a partner at Sutton Sachs Meyer PLLC and head of its real estate department. He concentrates his practice on representing buyers and sellers in residential and commercial real estate transactions. He is involved in all aspects of the firm’s transactional real estate practice and is well versed in the areas of contract negotiation and due diligence. 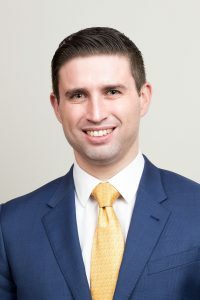 After graduating law school, Daniel was the law clerk for the Honorable Dennis F. Carey in Newark, New Jersey and later focused his practice on civil litigation for two years. In 2014, he came to New York to focus his practice on real estate. Daniel’s unique combination of litigation and real estate experience make him an asset to the firm’s clients. He regularly presents in real estate brokerage houses on a wide variety of topics.